Featured / Stories / 21.12.2014. The story about Maraschino should begin with the story about the marasca cherry (Prunus cerasus marasca) that arrived to Zadar from Middle Asia in ancient times. It found a source of life in red soil and rocky ground and integrated Dalmatian climate into its small fruits.It grows best in the area of Northern and Central Dalmatia, around the cities of Zadar and Makarska, mostly on dry land and somewhat on Dalmatian islands.In the mild Mediterranean climate it achieves its best quality, so that the fruits contain the highest percentage of dry matter and fructose. Maraschino liqueur belongs with its five-hundred-year-long tradition among very specific products of our region, binding the recipes and industry to the Zadar climate. 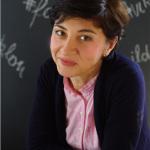 The first recipe was created and written in the Zadar Dominican monastery in early 16th ct. and it was prepared by the Dominican pharmacists calling it “Rosolj” from words “ros solis” – sun dew. 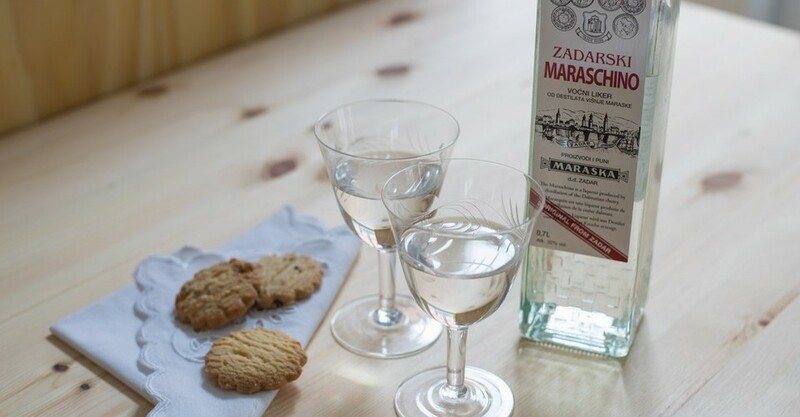 Although the recipe is a secret and it is saved in today’s Zadar factory “Maraska”, it is known that the traditional recipe is made by distilling fruits, kernels and leaves of young sprigs of the marasca cherry, and its continuous quality is a witness. The real boom in liqueur production started when the botanist Bartul Ferrari from Bergam taught Josip Carceniga, owner of a caffe on Gospodski trg, when was the right time to pick the fruits and the leaves and to prepare the rosolio (rožoljo) that he served in his caffe. Later the rosolio got the name Maraschino, and made Zadar famous for it around the globe. In the beginning it was precious and available only to the richest classes of the society. Only in the 17th ct. it became more available, after the first workshops Rota, Mola and Calcenigo appeared. Industrial level of the liqueur production started during the time of Franjo Drioli (1738 – 1808). That is also the time when the Maraschino from Zadar sailed to all the important European harbours and capitals.It quickly won all European courts, later spread to Canada, Australia, South America and Southafrican union. Interesting piece of information is that in 1888 as much as 400,000 bottles was exported. Zadar harbour often hosted ships of the English queen Victoria and transported large quantities of the Maraschino liqueur to the English court, and king George V personally visited the production plants. Many world celebrities enjoyed its specific and unrepeatable aroma, such as Napoleon, Hitchcock, Baudelaire, Casanova and others. The remains of the Titanic also prove that it was consumed by the passengers on that first and ominous voyage, since a bottle was found among the remains of the legendary ship. Zadar Maraschino belongs among the original products of Croatian region of Dalmatia, and hand-braided bottle was pronounced a Croatian souvenir. Apart from being served as a dessert liqueur, it is also used in the production of ice-creams, fruit salads, cakes, and other decorative culinary delicacies.